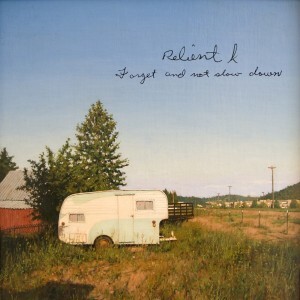 Relient K – Forget And Not Slow Down | NoCoda. What It Sounds Like: The most mature and 90s-inspired rock record from Matt Thiessen and crew. Gone are the pop-punk days of singing about Marilyn Manson eating your girlfriend, as they’re replaced with sophistication and introspection, lyrically and musically. Forget And Not Slow Down is the first record, and one of the very few times, that I ever paid money to download from an online store. Amazon’s MP3 Marketplace, to be exact. Why? Because on its release date, we were heading over to Atlanta’s George Dome to see U2’s 360 Tour, and I had zero time to actually get to the store and pick up a copy. So I downloaded it for $5 bucks, because it was essential for the trip, and picked up the copy a couple days later. That’s my personal relation that always gets kicked up in my memories when I hear those, well (eat your earlier words, Brandon), pop-punk power chords as the title track kicks off. It’s one of the few times on the record that we see just simple, straightforward pop-punk. The piano is back, of course! One day a couple years ago, Matt decided to try his hand at the keys, and they’ve been around ever since. The straight pop of Candlelight is sticky and sweet – Matt must have been listening to a lot of Death Cab For Cutie at the time, because if you didn’t know better, it could easily be mistaken for them. The lyrics have always been somewhat of a mystery to me, so if anyone has any good interpretations, feel free to get in touch. They’re great. It’s a long way from singing songs in gibberish and titling them…gibberish. In the same way that all the emo kids started to hate Patrick Stump after he lost all that weight (“We liked you better fat!”), some found it difficult to swallow a more mature Relient K. I mean, this record has zero humor. No crayons melting on us. No desperate pleas for skittles and combos. Just a straightforward rock record speaking about life’s experiences, the highs and lows, the troubles and eases. Is this the Matt Thiessen that we really want? Of course it is. We’re not fourteen anymore, like we (or I) were (or was) back when their self titled was released in 2000. I mean, Matt was 20 – 24 through his first four records, and I was 14 – 18 when they were released. Let’s hope he started writing about actual relationship trouble and questions of faith, because when you’re 32 and still wearing a pick tux to your prom – you’ve missed something. I’m completely content to leave those great days in the past, look back and enjoy them, but look to the future with straight passionate rockers like If You Believe Me and Part Of It. Relient K have been one of the few bands who have actually continued to release great records ever since I was in high school – their career has had very few, if any, missteps. Here’s to hoping July’s Collapsible Lung blows us all away. My two cents? I bet it’s gonna be faster and more energetic than anything we have heard from them since the Two Lefts.. days.